Combining Bristolian, Cornish and Steel City roots, Harri Larkin have created ‘Moon Pie’ which rolls with a funky little riff and the kind of bass line that exists between punk and ska. 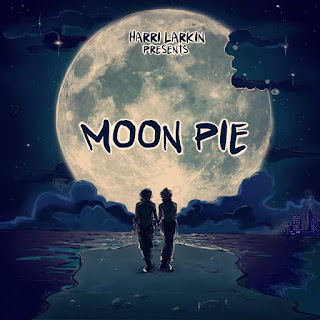 Harri and Maddie make up the duo who deliver a stripped down, acoustic version of the energy and style that Tankus the Henge have found so much success with. What’s most impressive is their tapestry-like ability to weave different genres together with folk, ska, reggae, punk, pop, funk and indie all present at various points throughout this wondrous and joyful ditty. Stick Harri Larkin on a bill with Tankus and Sound of the Sirens and you’ve got yourself a perfectly formed night out.